Extreme Speed Motorsports is the lone American team heading to the FIA World Endurance Championship's 6 Hours of Shanghai next week, and we've got drivers Ryan Dalziel and Johannes van Overbeek here to answer your questions! Although Extreme Speed started racing in the TUDOR United SportsCar Championship this year, they've been testing the waters with WEC. They made their WEC debut at the Lone Star Le Mans with one car entered in the weekend's TUSC race and the other entered in the WEC race. We're committed to going to the 24 Hours of Le Mans next year. I feel it is important for us to pick the absolute hardest race that the team could do, and that means racing in China; there's language, food and logistics issues, among other challenges. If we truly want to be competitive at Le Mans or any other WEC race, we need to get our hands around the series and regulations at one of the most demanding locations. The best thing we can do is throw a challenge at the team. We're going to learn so much in the week in China; it will pay huge dividends. We're excited but know there is a give and take. Racing is expensive and because of that we'll park the cars at Petit Le Mans and not run the final race of the TUDOR Championship series so we can setup the cars for Shanghai. By all means, we're going to be racing in the United States next year, but we felt that this was important to set us up for the goals that we've set. So, we've got Extreme Speed Motorsports drivers Ryan Dalziel and Johannes van Overbeek here to answer all of your questions: about the differences between racing a P2-class car in TUSC and an LMP2-class car in WEC, about plans for next year, about how to be a better driver, about the HPD ARX-03b prototypes, or even about their favorite snack—absolutely anything you want to ask. Californian Johannes van Overbeek started racing at age 23, as a hobby. He became one of the world's best Porsche drivers before making the switch over to a Ferrari with Extreme Speed Motorsports back in their American Le Mans Series days. Since then, he has been a part of eight wins in ALMS and over 44 podiums. He's also made four Le Mans appearances with Flying Lizard Motorsports. If that's not proof that you don't necessarily need to start karting at age 2 to compete in motorsports, I don't know what is. Ryan Dalziel hails from Scotland and is new to the Extreme Speed Motorsports team for 2014. 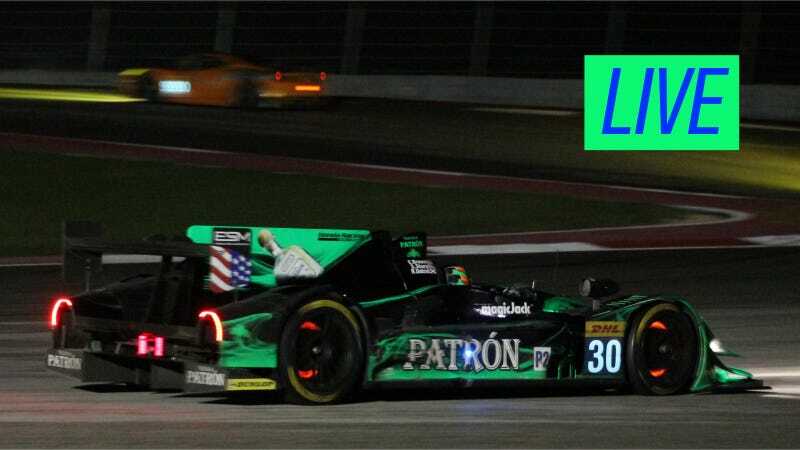 In 2012, he won both the World Endurance Championship and the Grand-Am series, as well as driving Starworks Motorsport's HPD ARX-03b LMP2 to victory at the 24 Hours of Le Mans. He's won two top awards for Scottish racers: the William Lyons Trophy from the Scottish Racing Drivers' Club as well as the Ecurie Ecosse Trophy. Additionally, Susan Pollack, who handles the team's PR, will be available to answer some of the more team-specific questions. We know it's been a crazy year for all the teams involved in the TUSC merger of the ALMS and Grand-Am series and the team is already looking forward to 2015, so feel free to ask away. We've got an hour with everyone starting at 1:00 PM EDT, so start asking those questions now!